We live in a Connected World where humans are more reliant upon technology than ever before. Virtually every industry relies upon the Internet to some extent: Medical, automotive, satellite, computing, communications, and many more. As this dependency grows, our tolerance of reliability and stability issues diminishes, and our expectations of quality and reliability raise the bar for the entire electronics industry. So far, security has been the top priority of the Connected World; privacy and reliability were secondary. Security will likely remain dominant but concerns about reliability failures are increasing. For example, today something as small as a minor, short-term malfunction in a satellite can affect huge parts of society. In February 2016, there was just such a radio disturbance in the UK, caused by a rogue GPS satellite network bug. Martyn Thomas, a fellow at the Royal Academy of Engineering, observed, “This should be treated as a warning of what could go wrong…. The world is dependent on GPS for a vast range of critical applications from navigation to financial trading, and precision docking of oil tankers to high tech farming.” Can you imagine how such a malfunction on a GPS satellite could affect a self-driving car? 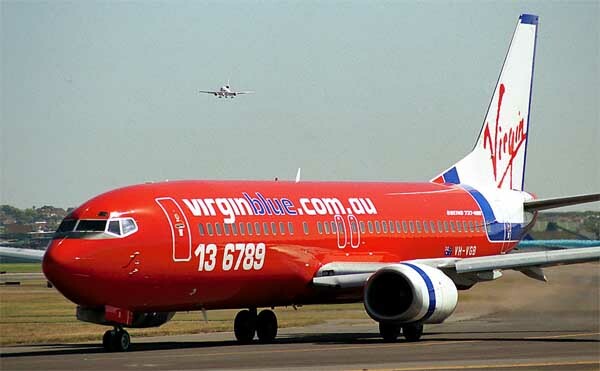 In September 2010, customers of Virgin Australia (formerly Virgin Blue) were upset when they could not board their flights after a hardware failure caused an 11-day outage of the airline’s booking, reservations, check-in, and boarding systems. Virgin was compensated by its reservation company, Navitair, by $20M, but its reputation for reliability took a serious hit. American Airlines, Southwest Airlines, and United Airlines have experienced computer glitches. Most recently, thousands of Delta Airlines passengers were stranded around the world when a computer system went down, resulting in the loss of millions of dollars and customer goodwill. And how about an everyday example? How disturbed and lost do you feel when your cellphone shuts down for no apparent reason in the middle of day? Perhaps you are using it to navigate your car to an unfamiliar destination, or expecting an important phone call. Most of us have stopped carrying maps in our cars and have no clue where pay-phones are located (if they still exist). We do not even remember people’s phone numbers. Dropped cellphone signals can dramatically disrupt daily life. We rely on our electronic products and the Internet to connect us to everything we need to do, no matter where we are. The Connected World has become a standard in our everyday lives, in our industries, and in our world. So what is to be done. Let us look at some of the tools and techniques available to meet ever-rising expectations of reliability. What features should you be looking for from your design software to meet the reliability challenge. Building reliability into electronic product design and manufacturing processes is essential for ensuring your products meet the needs of the Connected World. Ensuring reliability also has advantages for the designing organization: shorter time-to-market and lower development costs, particularly as failures detected late in the design stage, especially after a product goes to market, can be devastating. To support the Connected World, today’s PCB design tools today are reliability-oriented, providing an array of tools and capabilities to improve design success. The following checklist describes 12 technologies that can increase the reliability of your design flow. IC/PKG/PCB co-design – An automated co-design solution drastically reduces system cost by allowing collaboration to incorporate key parameters from thermal and electromagnetic modeling. WIP design data management – Centralized work-in-progress (WIP) design data management increases efficient collaboration across the team and reduces defects. It cuts design time and reduces iteration costs. Lean NPI – A powerful Lean new-product-introduction (NPI) solution allows OEMs to accelerate time-to-market by deploying a ‘design-anywhere/build-anywhere’ strategy, ensuring that designs are comprehensively checked against the industry’s most complete rule set for fabrication, assembly, substrate, and panels. This ensures greater end-product reliability. Integrated DFM – Concurrent design-for-manufacturing (DFM) optimization minimizes design-revision spins during NPI and the ramp-to-volume. It also provides final generation and validation of the PCB product model for manufacturing. 3D design – 3D design accelerates PCB planning and placement decisions with mechanical validation, identifying possible electro/mechanical issues at the design stage. Advanced fabrication technologies – These help you select the right materials and incorporate high density interconnect (HDI) techniques for the creation of high-performance PCBs. Rigid/flex design solutions – These empower you to cope with increasing complexity while enabling higher productivity through 3D visualization and regional stack-up planning. 2D/3D signal integrity analysis – This defines constraints and validates the design to fully leverage advanced signaling protocols and improve product quality and reliability. Power integrity analysis – Optimizing power delivery networks (PDNs) in the context of complex layout provides efficient, clean, multi-rail power to ICs, improves product reliability and supports better collaboration among experts. Thermal analysis – By optimizing designs for efficient heat distribution, you can minimize the use of costly mechanical structures while also considering the impact of heat on power distribution (and vice versa), ensuring that your end product will operate reliably. Virtual HALT testing – Analyze vibration and acceleration with virtual highly accelerated life testing (HALT) validation during the design process to minimize expensive, time-consuming, physical HALT validation and associated design re-spins. ERC/DRC/EMI Simulation – Integrated, concurrent electrical rule checking captures specialist knowledge/IP and enables design teams to leverage it across multiple designs, minimizing bottlenecks while addressing complex SI/PI/EMI challenges to produce accurate designs more quickly. Today’s electronics industry is characterized by hyper-fast change. There’s less tolerance and less time for product failures and low-quality products. And new technologies, smaller form factors, and more complex products are driving significant increases in design complexity. The Connected World demands that products meet the industry’s expectations for quality and reliability. Staying profitable while doing so is the big, internal challenge for electronics organizations around the globe. Organizations must also understand the obligation they have to society. The end product is no longer just a radio, an MP3 player, or an oven. The electronics industry is a backbone of the reality our generation lives in; a reality where the Connected World is something we can’t live without. Designing and manufacturing reliable electronic products means maintaining reality as we know it, keeping lives in order. We need to use all the tools we have in hand to do so.